Cars can be a necessary even to most people and even though you need it for your daily transportation, paying for it can be one of your greatest financial challenges. When you need to buy a new car, you might not always be able to afford a brand new one or the latest model. 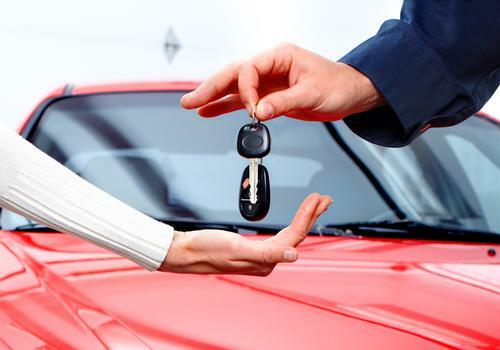 Unless you have all the funds available from savings or a windfall, you will most likely look to get some type of car finance facility for your new car. In getting a car loan, there are some things you must consider before applying for one and also some other things to consider after you’ve gotten the loan to make sure that you get the best bang for your buck. Let’s start with how to get the best possible deal on your car loan before you even get one. This is an important first step that makes having the loan even easier than usual. Treat the process of using a car loan to buy a used car as the same way you would a home mortgage loan. Most Australians are required to have a good credit rating before applying for a car loan. If you find any errors on your credit report, you should fix it before you apply for the car loan. This will ensure that you get the best possible loan rate, this means you will pay back less money. It is also critical to know exactly how much you need to buy a used car. If you have some time, track your budget and use a loan calculator that you can find online to know how much you need to pay for the car. You can also check a local used car shop and speak to the dealer to have a clear idea of how much you would need for the car and everything that is required like registration and car insurance. This is essentially the real cost of the buying the car, not the dollar amount of just purchasing the car. Okay while it seems easier to get a car loan at a dealership where you would buy the car, you really don’t have to and looking around would help me get a better deal if there’s one available to be made. Speak with your bank, credit union or any online lender available to you. Chances are you already pre-qualify for a loan if you have a good standing with your bank so explore your options, see if you can negotiate and then compare rates and terms to be sure you have the right numbers to plan with. Make sure you read all the small prints, know how much it would cost you as penalty to completely pay off the loan and make extra payments to reduce your car finance tenor. If you are thinking of trading your used car for another one at a dealership, you can take your car back to the dealership and have them put a deal for you into writing and let know how long the offer will be available for. Before you commit to a trade-in, request for the PPSR check for the car you’re being offered to be sure you’re getting bang for your bucks. Also, carry out all the recommended used car checks before you commit to a deal. This will help you save money on the loan amount. Now you’ve gotten the car loan and ready to buy another car, congratulations but your work is not done yet. You still need to make sure that you don’t get stuck on the car loan. The best car loan is the one that you can pay off quickly without financial hardship to yourself. You may also save money if you spend less on the used car compared to the loan amount that you were offered. We always advise that you repay your car loan as early as possible because cars are liable to a lot of depreciation over time. The quicker you can pay off your car loan, the faster you are able to sell the car to get a better deal without losing too much on the original value. 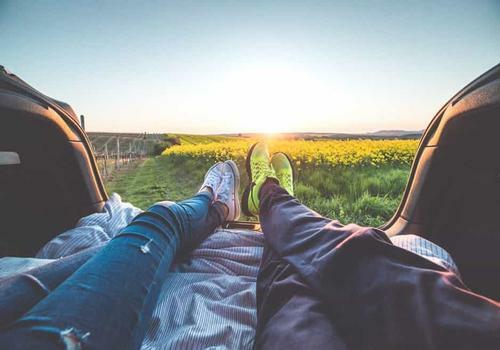 Make one large additional payment every year: There are two approaches to reducing your car loan tenor without overstressing yourself. The first way is to round up the car loan monthly repayment amount the nearest hundred and pay that way. The second way is to make a large payment equal to one or two months’ repayment at once which will cut down on your loan period without costing you penalties. Never miss payments: Skipping payments hurts you in so many ways that it is just better to avoid it even when your lender offers you the grace period. This just drags on your car loan much longer than is good for you. Don’t fall for the temptation. Refinance one the chance arises: Remember how I said to treat a car loan like a mortgage? Down the line, opportunities will come for you to reduce the loan rate that you were initially offered. This is a great way for you to reduce the total interest that you will repay. Buy a cheaper car: We spoke about this earlier. Look for the best possible deal that allows you to save on the loan amount to cover other attendant costs like car insurance. Instead of borrowing a higher amount, get a great deal and apply for a lower car loan amount. Do you really need a luxury car because you feel you have done enough to earn it? Even if you can afford it, you don’t have to buy the most expensive car that you can afford. There are many ways that you can make the best out of your car loan. Be smart, plan well before buying a used car and make sure you carry out all the necessary PPSR checks and any other recommended checks before buying a used car. Lastly, don’t scrimp on car insurance, you lose more money in the end.